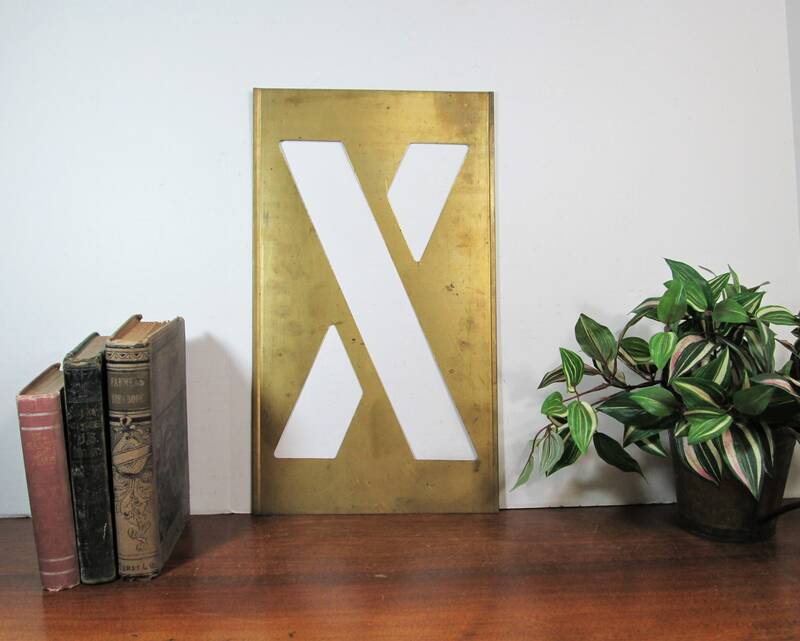 16" Brass Stencil letter X is perfect for collages, gallery wall or make a statement with your monogram on a shelf. 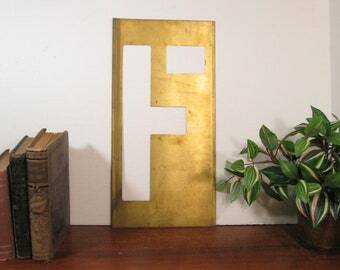 This could be the perfect addition to your industrial decor. 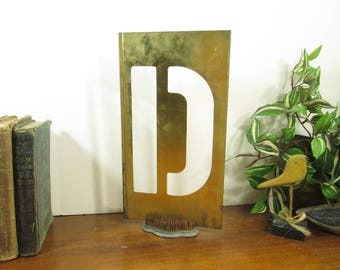 This stencil measures 16 inches tall with the letter being 12 inches. 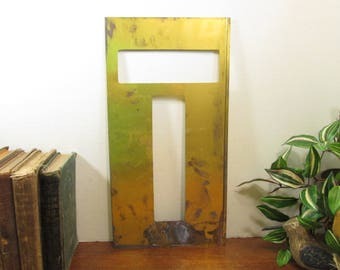 They are made of brass but are showing patina from age and some have remnants of paint and or tape. This has remnants or red and yellow paint. 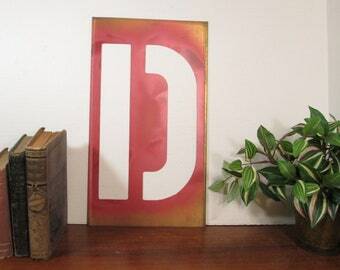 The stencils may have surface scratches. Please see the photos.